« Let the midday bees strike up their lazy hum! Over the past years, this has become the most popular post on this blog. I hope you enjoy reading it! According to one ancient egyptian myth, honey bees were the tears of the sun god Ra. In this context, the bee was seen as the messenger of the gods, falling down, like tears, towards the earth (and man) to pass on some secret message. The above symbol was called the Udjat in ancient times. 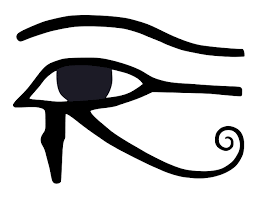 It is now more commonly called the Eye of Ra or Eye of Horus and represents the right eye of the Egyptian Falcon God Horus and was also associated with the Sun God Ra. It is supposed to be where the tears (or bees) came from. 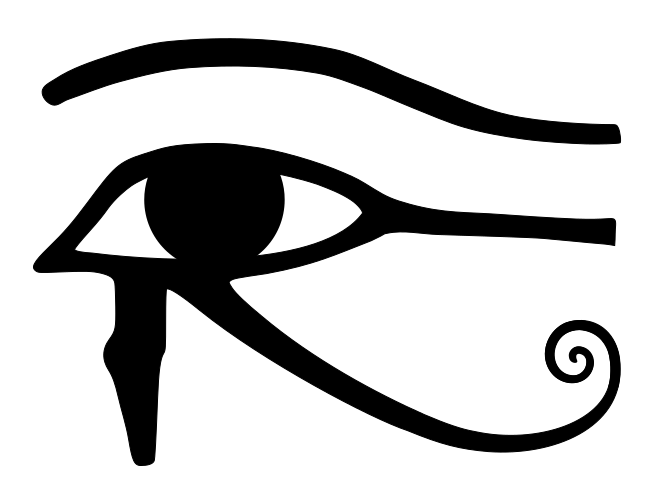 According to another legend, the left eye was torn from Horus by his brother Seth. It was magically restored by Thoth, the God of Magick. After the restoration, some stories state, Horus made a gift of the eye to Osiris, which allowed this solar deity to rule the underworld. It’s so peculiar because I have read this story before about the Sun God Ra, etc. verbatim. Then when I go in reference to the Scrabble Dictionary there is no reference to this specific spelling or mention of Ra. It has always bewildered me. Thank you for the story-I shall read on further. Thank you for all the stories. I am more curious than ever. Scrablle does not allow proper names, for some reason. Maybe they are too sacred to be used in gaming? I’m not sure of the reason, but in many religions, the word for God cannot be named, because it is so unfathomable and sacred. Ra, the Sun God, in ancient times, may well be locked into such a matrix of mystery!